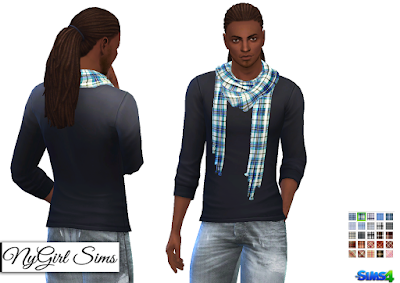 Just a simple accessory scarf in plaid patterns and is found in the bracelet category. 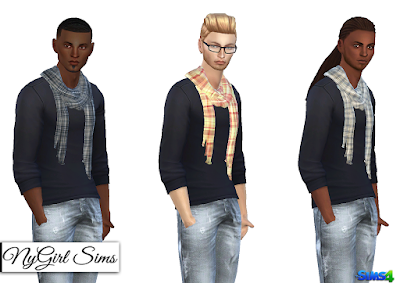 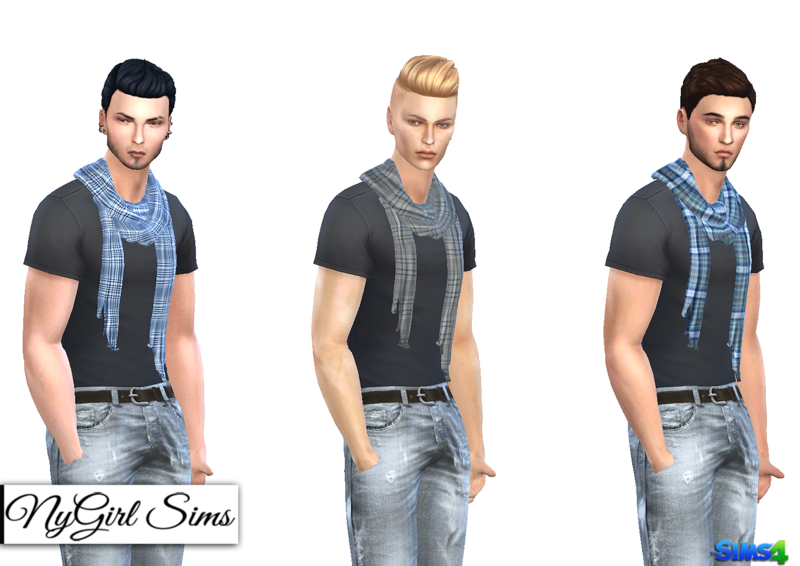 The scarf will not work with all top meshes, but does work with most tee shirt and tank tops. Made from a mixture of TS4 textures. Mesh edit by me. Comes in 25 presets.